What is a relative clause? Relative clauses are basically non-essential parts of a sentence. They may add meaning to the sentence, but if removed the sentence will still function grammatically. This course will teach you the two main types of English relative clauses and how they help to better define nouns. The course will explain this tricky subject in a clear step-by-step manner, and get your English to the next level in no time! This course will first introduce you to relative clauses and how they are used to better define the noun that precedes them. You will learn that they start with relative pronouns such as 'who', 'whose', 'that', 'which', 'where', and 'when'. You will also learn that personal pronouns such as 'I', 'he', 'she', and 'it' are not used in relative clauses. The course will also teach you that prepositions in sentences and in relative clauses are attached to the verbs. You will then look into the relative pronouns 'that' and 'what'. You will learn that both refer to things and that you use 'that' to refer to what is known, which is basically the noun, and 'what' to refer to what is not known. You will study how to use 'where', 'whom', 'that', and 'why' correctly. The course will also teach you that you should use 'whose' in relative clauses to provide information about what belongs to or relates to other people. 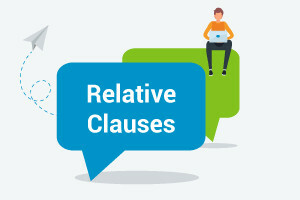 Relative clauses can help you express yourself more accurately, which is really important for personal and career advancement. If you can express exactly what you want to say, you can avoid confusion, make your conversations easier, and sound a lot more like a native English speaker. These are great rewards, so why wait? Check out this free online English course and start learning about relative clauses today. Define the relationship relative clauses have with nouns. List the common relative pronouns and provide examples of their use. Explain why we use who/that for people and that/which for things. Relate why we do not use personal pronouns in relative clauses. Summarize why the relative pronoun what, like that and which, means the thing we are talking about. Justify when we use that instead of what in relative clauses and explain the use of whom and where. Analyse who and that as subject and object. State when who/that/which is the object of the verb in a sentence.